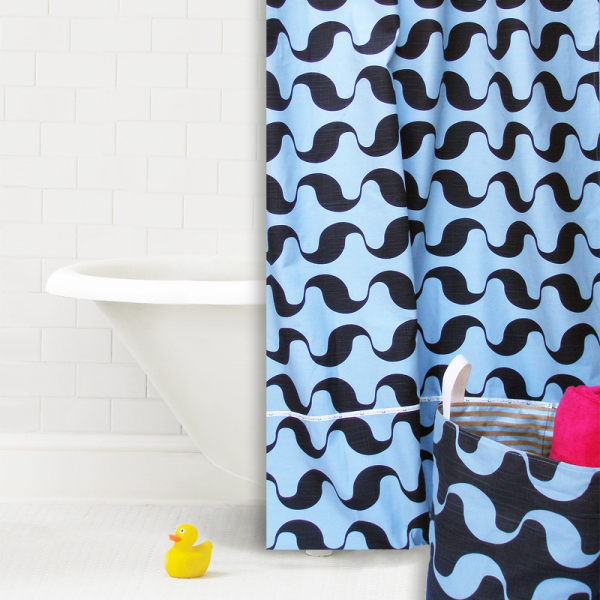 Wavy Surf Shower Curtain is a fun, bold pattern that will instantly brighten up any bath. The best thing about shower curtains? They’re the quickest, easiest way to give your bathroom a whole new look. We offers the perfect blend of sweetness and sophistication, providing a much-needed update to traditional baby + kid decor. SKU: AuntBucky_W_ShowerCurtain. Categories: Home Decor, Sale, Shower Curtains. Tags: Aunt Bucky, Bath, Cotton Shower Curtain, Curtain, Home Decor, Kids Room, Shower, Shower Curtain. 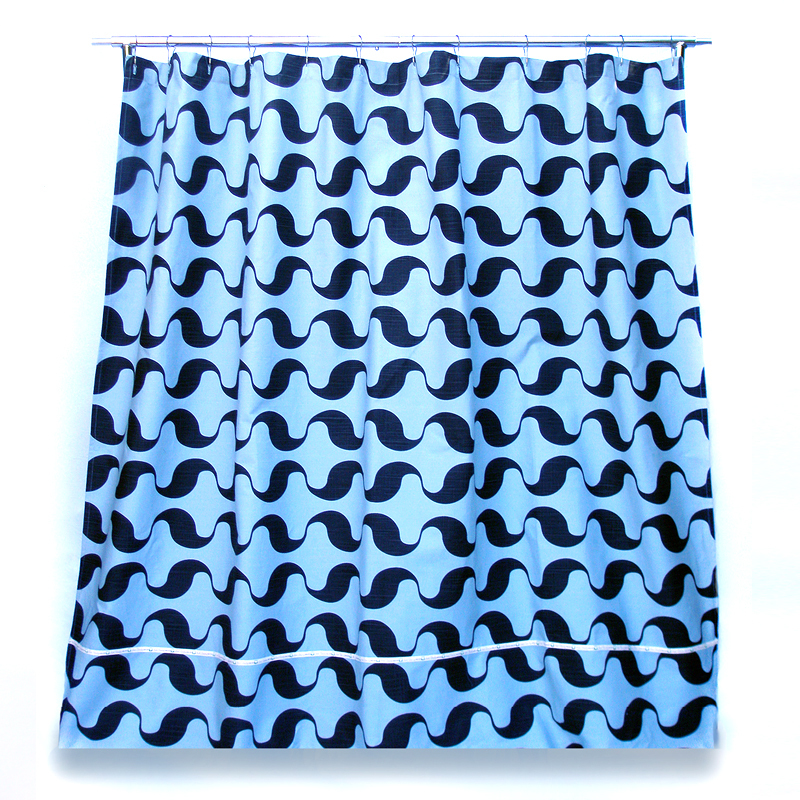 Wavy Surf Cotton Shower Curtain Panel is on SALE for $10.00! Wavy Surf Cotton Shower Curtain Panel is a fun, bold pattern that will instantly brighten up any bath. Wavy Surf Cotton Shower Curtain Panel offers the perfect blend of sweetness and sophistication. It provides a much-needed update to traditional baby + kid decor. Navy blue background with baby blue mod waves are too much fun. This shower curtain is perfect for any bathroom in Aunt Bucky’s opinion. About our Designs: Playing off of the design technique common to quilting in which bits and pieces of fabric scraps collected over time are pieced together to form something new and different. All of Aunt Bucky’s designs include textiles gathered from varied sources, including fabrics no longer in production and by textile artists who they themselves limit their fabric quantities and print runs. As a result the Aunt Bucky line is ever evolving and truly unique. Our collections will always include the same style selections and design sensibility, but the individual fabric prints may vary. This process is therefore somewhat improvisational and produces near one-of-a-kind pieces. Tapping into their affection for vintage fabrics, mid-century design and bold color they have created decor, and that are creative and fun! -Machine Wash Cold. Tumble Dry Low. Do Not Use Bleach.